Earlier this year, Zika spreading to the United States was a distinct possibility—it had already spread from Latin America to U.S. territories by the time spring rolled around. Now, news outlets are reporting confirmed cases of Zika transmission in Florida. Will funders start paying more attention, now? To be clear, these new cases aren't the first in Florida; it’s already had close to 400 confirmed cases of Zika to date, all of which were travel related. The distinction here is that officials have confirmed that four people were infected with the virus by local mosquitoes. And this isn’t just a Florida problem. The list of athletes opting out of the summer Olympics continues to grow. At the beginning of the year, the World Health Organization (WHO) warned that the virus was “spreading explosively” in the Americas, and international health officials expected up to 4 million new cases over the course of the year. Despite the warning and the WHO's declaration of Zika as a public health emergency, private sector funding to get ahead of the expected explosive spread of virus has been moving at a glacial pace. Related: Who Cares About Containing the Zika Virus? This is a bit surprising. When the Ebola outbreak hit, funders large and small were incredibly responsive and quickly backed efforts to stem the rising tide of new cases and treat those who had contracted the virus. The Gates Foundation made close to $55 million in Ebola grants, Mark Zuckerberg gave $25 million, Larry Page pledged $15 million from his family foundation and an additional $10 million from Google. The biggest donation of all came from Paul Allen, who promised to direct at least $100 million in funding here. And it wasn’t just big tech money that was coming in to combat Ebola. A range of other funders stepped up, too. Not so with Zika, which isn't evoking the same sense of urgency among private funders as Ebola, even as it infects victims right here in the United States. That’s not to say that this funding space is a complete void. Paul Allen and Vulcan Inc., have stepped up, giving over $2 million to combat the spread of the virus. Google.org has awarded UNICEF a $1 million grant to raise awareness, reduce the populations of mosquitoes that transmit the virus, and support the development of diagnostics and vaccines to prevent disease transmission. Google also launched an employee matching campaign to give $500,000 to UNICEF and the Pan American Health Organization. Meanwhile, the Gates Foundation has pitched in around $1.5 million to date, a paltry sum compared to its $55 million for Ebola. RB, a leading health and hygiene company, committed $1 million in cash and product donations to its Zika Relief Package, which included insect repellents and insecticides. Since Zika can be sexually transmitted, RB also donated 1 million of its Durex condoms. 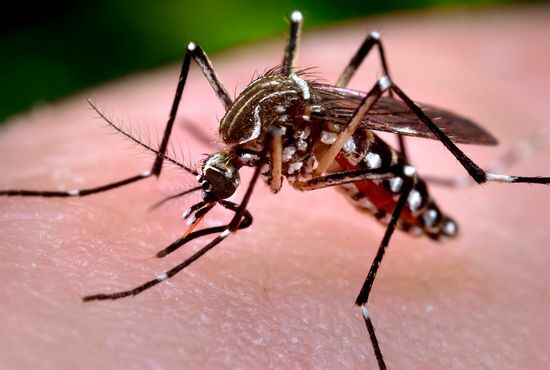 While Congress has been bickering over how to respond to the virus, the CDC has already redirected over $85 million in funds to states and territories for Zika preparedness plans. Bayer is giving more than 90,000 IUD units and oral contraceptive products, 700,000 units of its mosquito control product K-OTAB, and 10,000 unites of LifeNet, a long-lasting, insecticide-treated mosquito net. SC Johnson has donated 60,000 cans of OFF! insect repellent. 3M and CRC Industries also donated their respective brands of insect repellent. The Summit Chemical Company gave their product Mosquito Dunks which kills mosquito larvae in standing water. Church & White donated 150,000 of its Trojan brand condoms. Good stuff. All of it. But as of June, at the CDC Foundation, which has received nearly $2 million in funding in addition to in-kind donation commitments, a multimillion-dollar funding shortfall remains. Just as alarmingly, Mutombo and Cohen also state that four months after major international health agencies “sounded the alarm on the dangers of the Zika virus,” the agencies are “experiencing the same insufficient mobilization that characterized the initial response to the Ebola epidemic.” What the writers are referring to is the WHO’s acknowledgement of unpreparedness in its initial response to the Ebola outbreak. Read more about that here. The writing is clearly on the wall, alarm bells are sounding, and international health agencies are pleading for more funding. It’s curious that more funders aren’t answering those pleas.